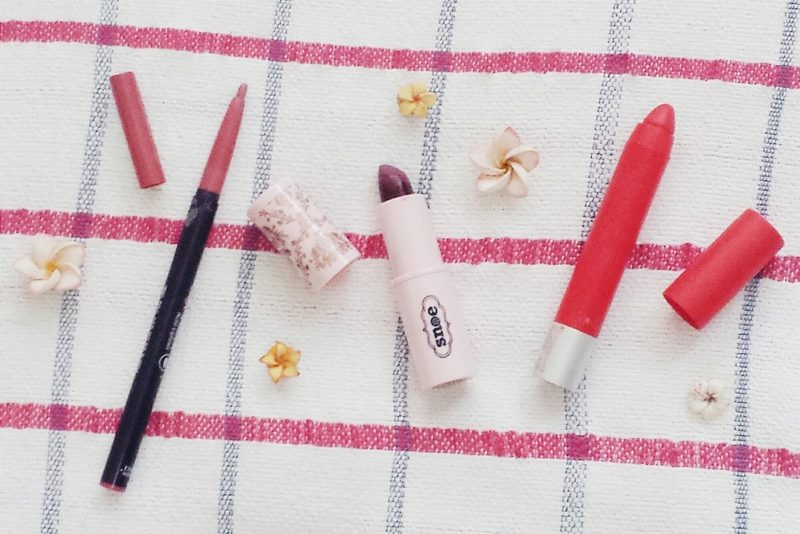 Well, if it ain’t obvious yet, here’s a little secret: I’m falling more in love with lipsticks! I’ve been wearing these three shades for the past MONTH. These were part of the six shades that my husband gifted me for my birthday. This set is exciting because it is made of firsts — first matte balm, first Snoe product, and first lip liner. Excited as well? Here we go! Yep, the color of the year! This wasn’t a part of my lipstick wishlist, but I’m glad I bought this. For PhP 399, you get bang for your buck because the color payoff and wear time is excellent. It has a nice smell, which I can’t seem to distinguish — a hint of vanilla plus something. One of the things that I love with this is that it leaves a stain, so even after eating and/or drinking, it still has its color on my lips. My first ever lip liner — I felt like a legit makeup person when I bought this LOL. I’ve been using this the most because it’s a pretty nice MLBB shade and recently, I’m all about a neutral lip with made up eyes. It’s sold at PhP 98 — the cheapest available lip liner that I encountered when I was scouting at SM Makati department store. It is a bit tacky when being applied, but I don’t mind. What I do when I use this, is swipe on a bit of lip gloss on the middle area of my lips for a plumpier pout. My favorite paring with this shade is a cat-eye, subtle smokey eye and dark, lush lashes. Matte balms are something that’s fairly new to me. I haven’t really swiped on a matte lipstick, but I’m dying to add one into my arsenal. 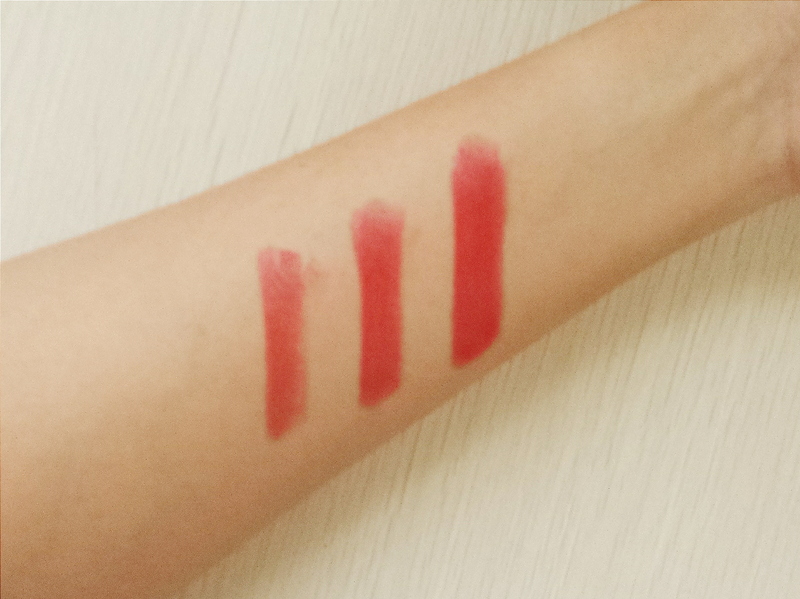 From what I hear about mattes, they’re quite drying on the lips. So as expected, this matte balm is a bit drying, but I its balm genes kind of balances it out. I love the nice minty smell and sensation that it brings out when being applied. The color is on the sheer side, so you’d have to swipe on two to three layers to achieve its true-to-tube color. It’s a red orange shade, and I like that it brightens up my face. I’m not a fan of red reds (makes me look older and my skin, sullen), so this may be the closest that I can get to a red lip. I honestly can’t pick a favorite from the three because I seriously love them all. But if I have a lunch meeting, I’d wear the Snoe, because even after eating, I’d still have a beautiful lip color on. If it’s date night with Mario, I’d definitely go for Etude, because it’s the right kind of made-up-but-not-so lips, and also it’s his favorite lipstick on me. 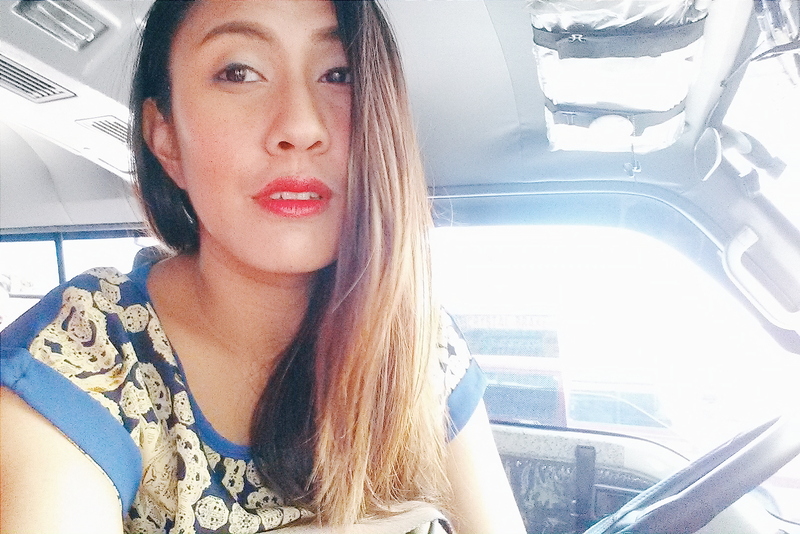 I’d wear the Revlon on errands because I’d be dressed down but I won’t feel and look lousy. Which was your favorite shade? And what are your current favorite lipsticks? Let me know!